The Chinse style of housing has been known for their fusion of colors and shades over the years. The concept of Chinese Interior Design has crossed over boundaries and are now being adopted by the people from different parts of the world. 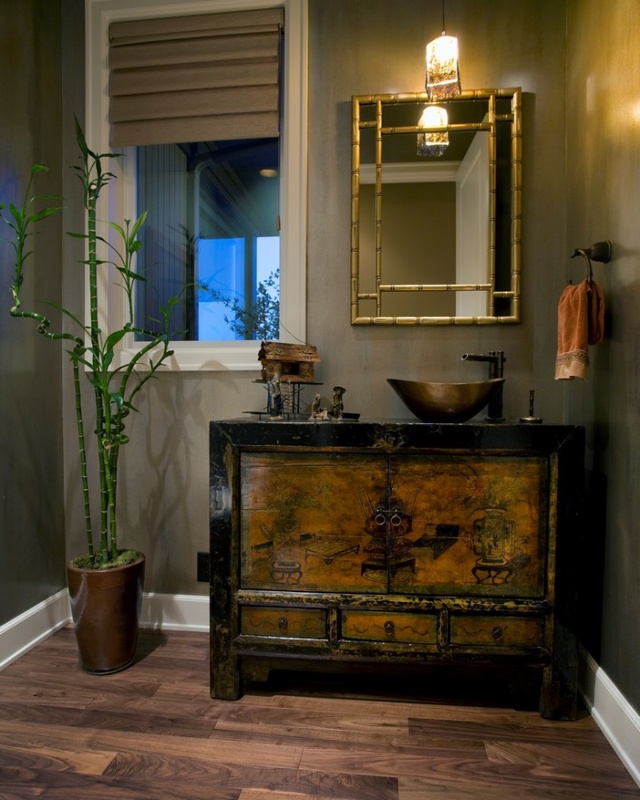 There are luxurious settings that can be incorporated with sophistication in the homes. The living rooms, kitchens and other parts of the house can be designed in lines with the Chinese housing traits. Check out ten Chinese interior designs here. 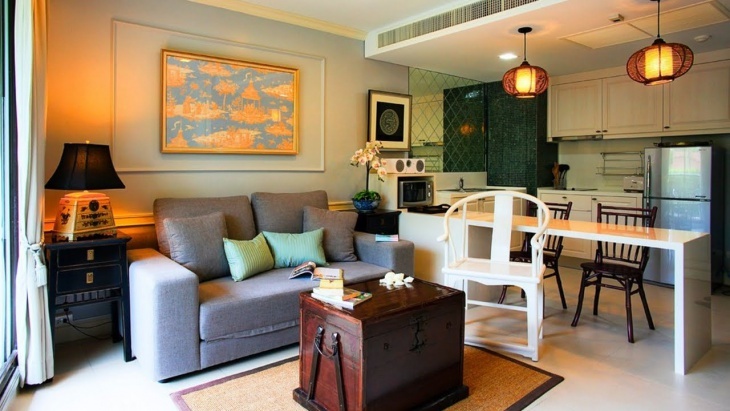 In this Chinese living room interior design, a lot of accessories are accommodated within a small apartment. The grey sofa set is placed along a wall, and place a brown trunk table in front of it to make the place conspicuous. There is kitchenware at one end and the white background of the walls are illuminated with a golden glow of light. 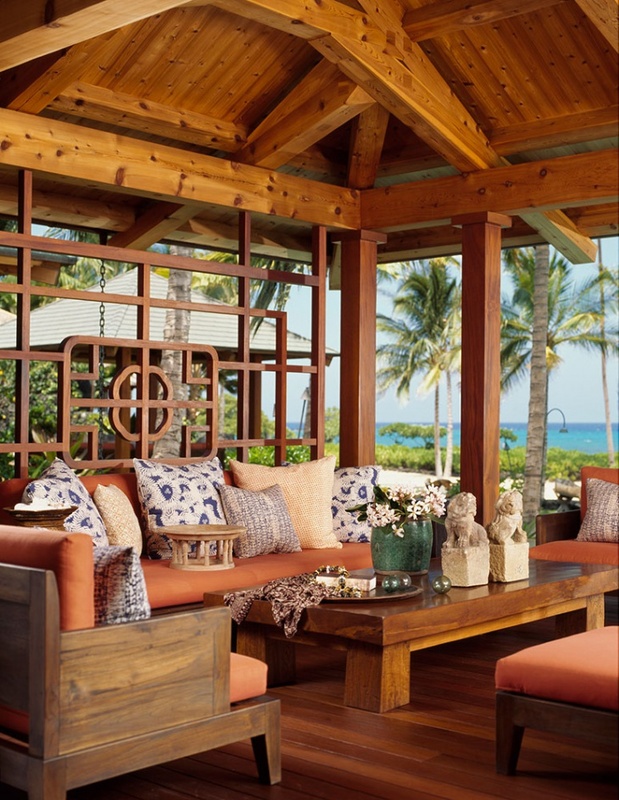 For the patios and rooms with a lot of open space around, beautiful Chinese furniture can be incorporated. This furniture is dark brown in color with a reddish tint and complements the wooden floor. For the ceiling, a lighter shade of wooden design is used. The Chinese wallpaper looks beautiful and vibrant with red and yellow colors, and there are stripes of other colors in it that is unique in looks. There is a matching red sofa, along with slanted a chandelier that makes the room beautiful. 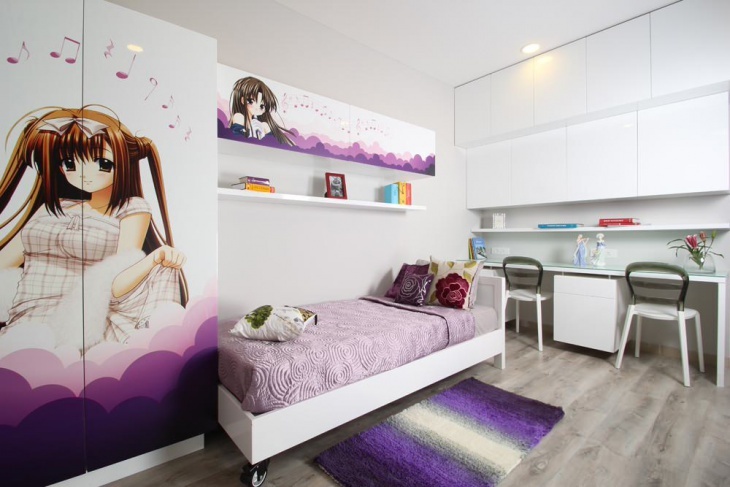 The bedrooms with Chinese interior design looks classy, with peculiar fabric wall hangings adorning the walls. Paint them is a light pink shade and this will go well with the bed cover. 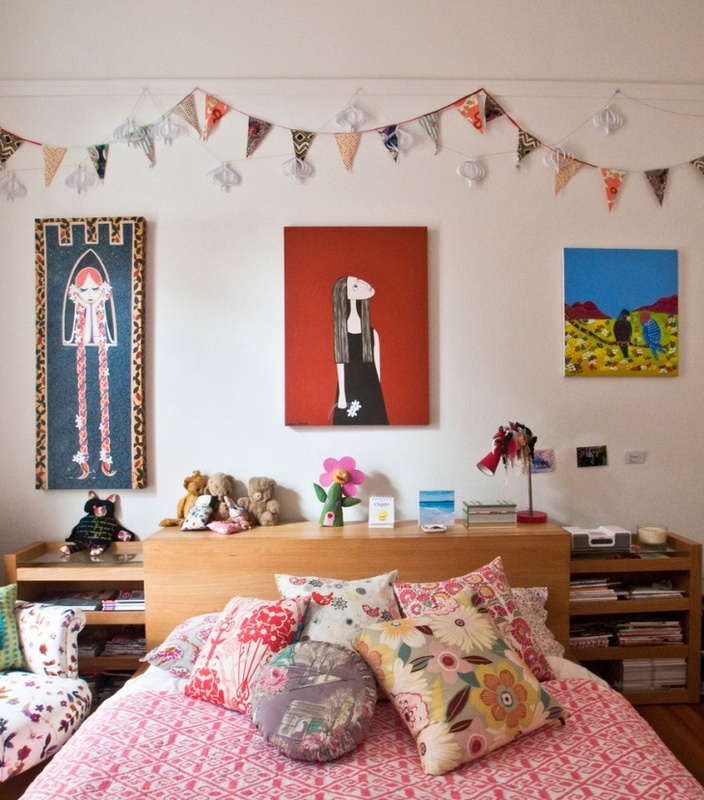 The strings of triangular paper art with red and black designs decorate the walls. 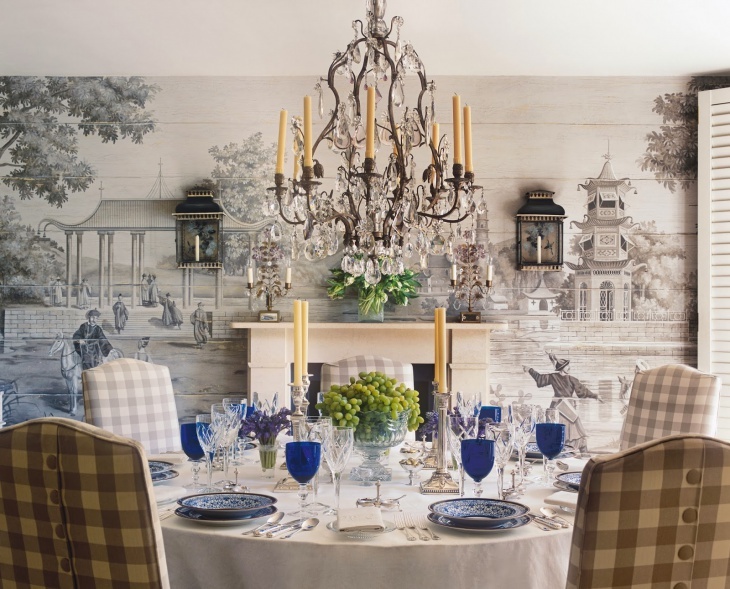 Homes with a Chinese style dining room has antique designs, with wall murals painted in different shades of black and white. 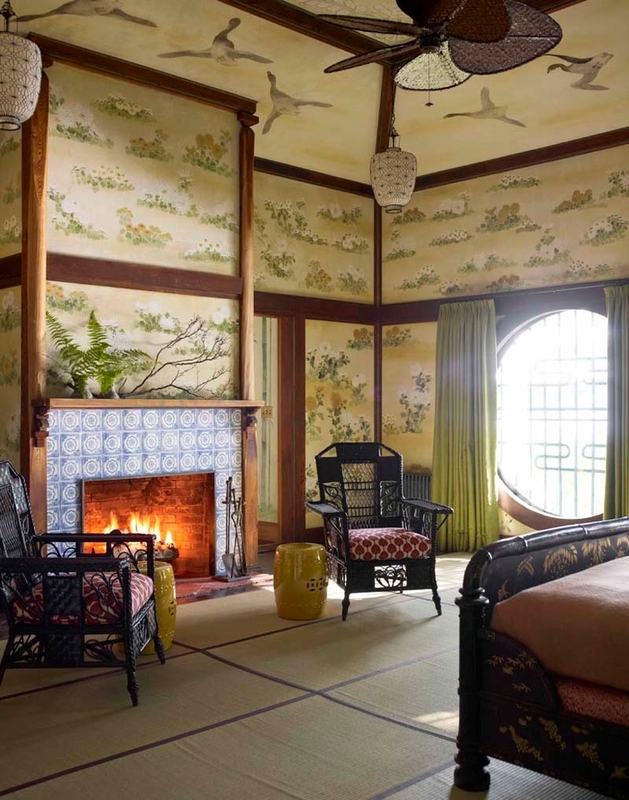 The scenic wallpaper is complemented by a metal fireplace. The antique blue color of the crockery, along with glass ones look great. The red and gold colours make a royal match for the walls in the living room. 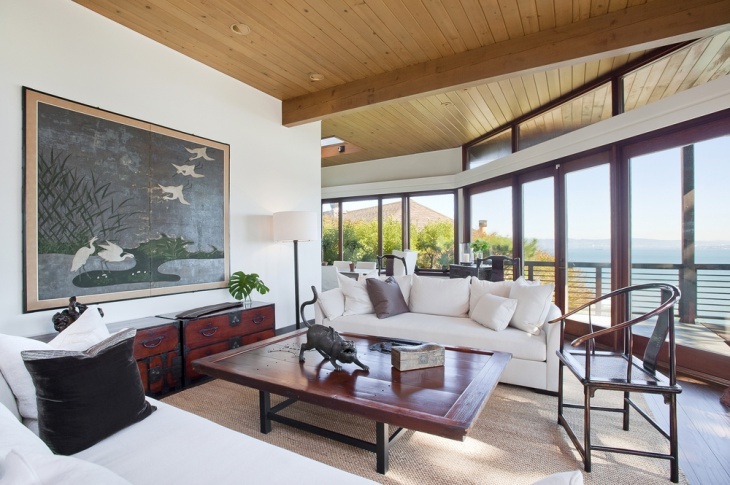 Opt for some unique Chinese calligraphy art on the walls. 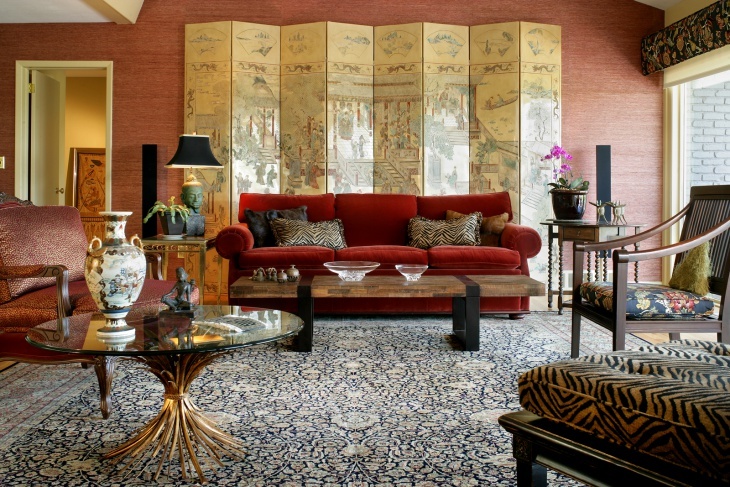 The tiger-skin design for the cushions of chairs contrasts well with the deep red sofas. The ceramic vases and Buddha statues are typically Chinese. This setting is undoubtedly Chinese in nature. 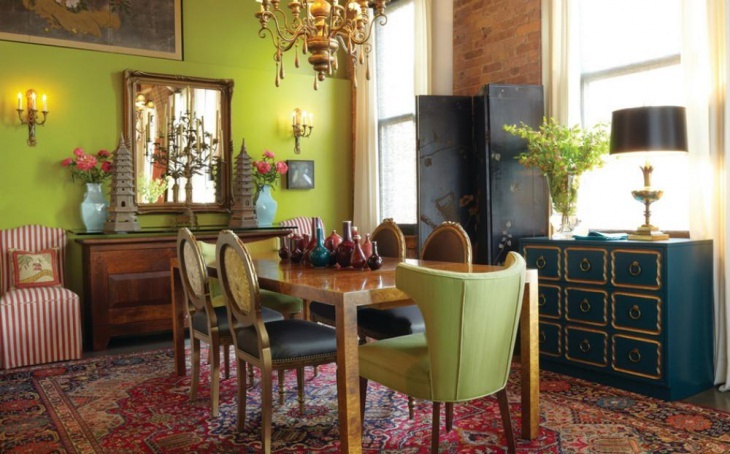 There are rounded windows with artistic designs in the furniture go well with the green curtains. The dark brown furniture is well polished and goes well with the pictures of gardens on the walls. Polished wooden frames are used on the walls and ceiling, with pictures in the middle. The coffee table settings in the drawing rooms are artistically decorated in lines of Chinese interior designs. The whitewashed walls go well with the dark floor. Ceramic garden stools and light brown furniture make a good combination with matching carpets. When you plan to get a dining room in lines with the Chinese interior, get the walls painted in the grey-gold combination. 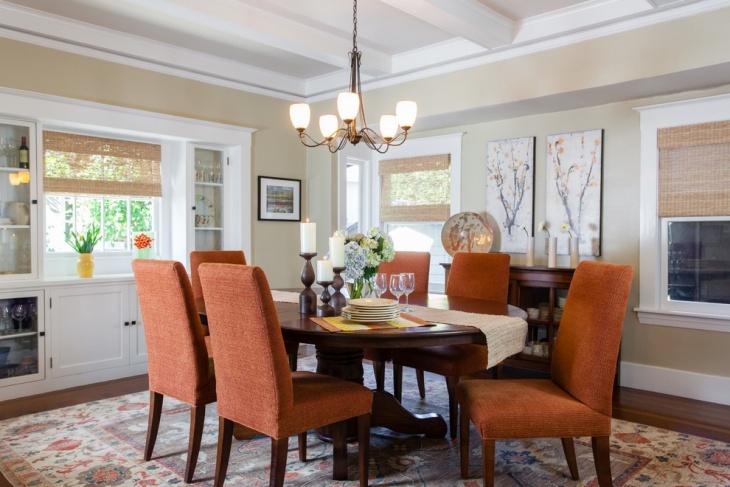 Hardwood flooring and artwork on the carpet creates a matching setting in the room. The dark brown furniture in the centre is a classic specimen of Chinese housing styles. 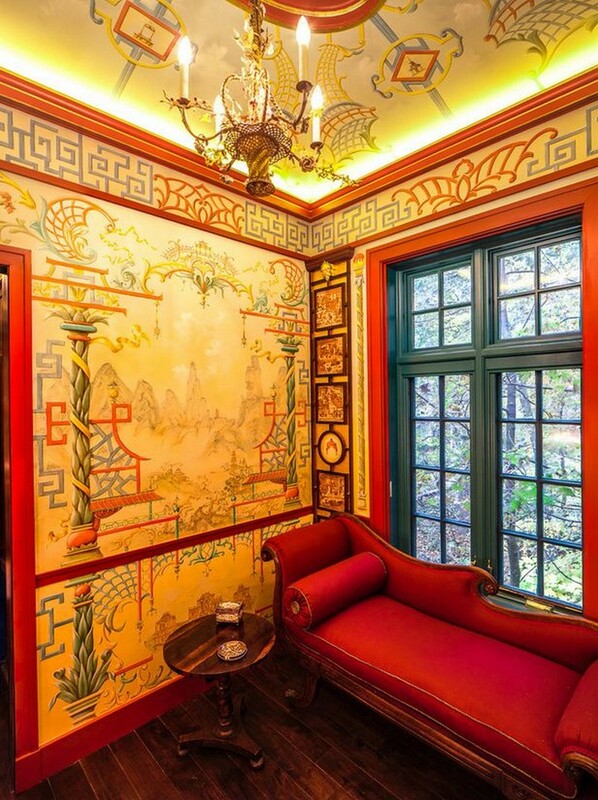 People love to get in touch with the Chinese Interior Design due to its uniqueness. The blend of colors, striking combinations of furniture and flooring ideas, as well as the wallpapers, create the ideal ambience for sound housing. If you have any of your own ideas, you can share them with us.